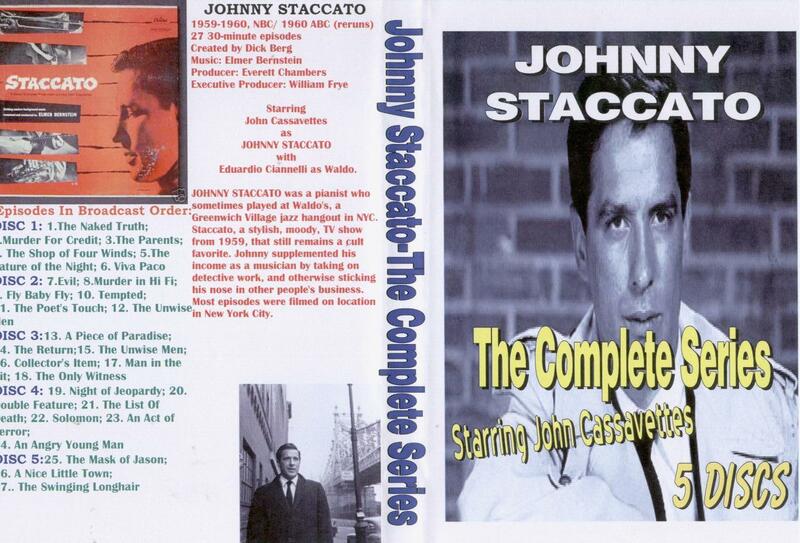 JOHNNY STACCATO was a pianist who sometimes played at Waldo's, a Greenwich Village jazz hangout in NYC. Staccato, a stylish, moody, TV show from 1959, that still remains a cult favorite. Johnny supplemented his income as a musician by taking on detective work, and otherwise sticking his nose in other people's business. Most episodes were filmed on location in New York City.